Sometimes it is easier to start projects than to finish them. Okay – it is almost always easier to start than finish. The new coffee table was no exception. I had the table frame and top constructed in May. Then life came in the way. We had to complete some house projects and replace windows. Travel for work. Yard projects. Time with the kids. It is easy for the days to slip to weeks and to slip to months. But the project is finally finished and in the living room. It isn’t perfect, but it is the most complicated project I have made to date. It is constructed of solid cherry – with the drawer bottoms made from 1/4″ plywood (I was running out of wide cherry, and the plywood bottoms can be glued into the drawers and won’t move with the seasons. I finished the project with a single coat of shellac and then Enduro-Var as a top coat. This is my first project using Enduro-Var, and it is great. The water-based finish dries quickly and looks great. I think I have my new go-to finish. Next time I’ll try spraying it. 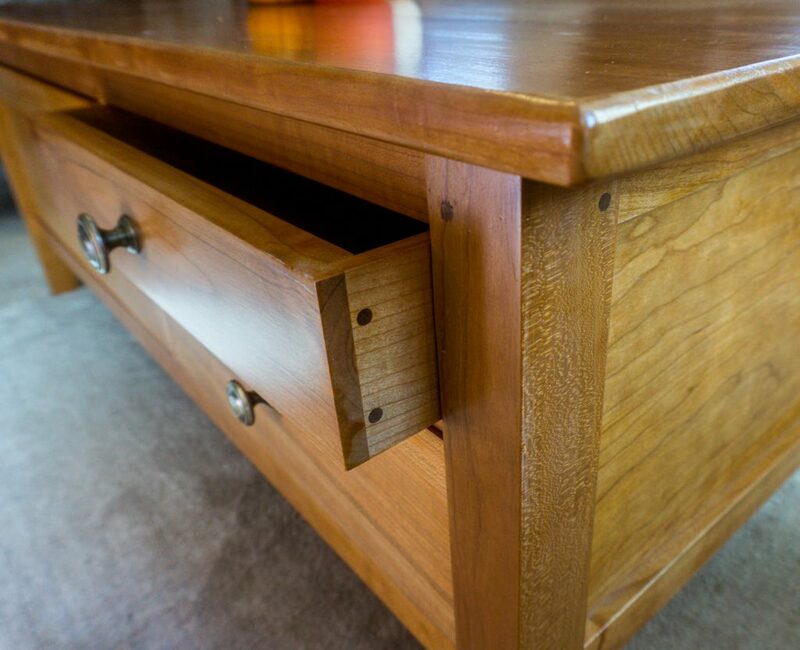 Cherry coffee table – drawer detail. 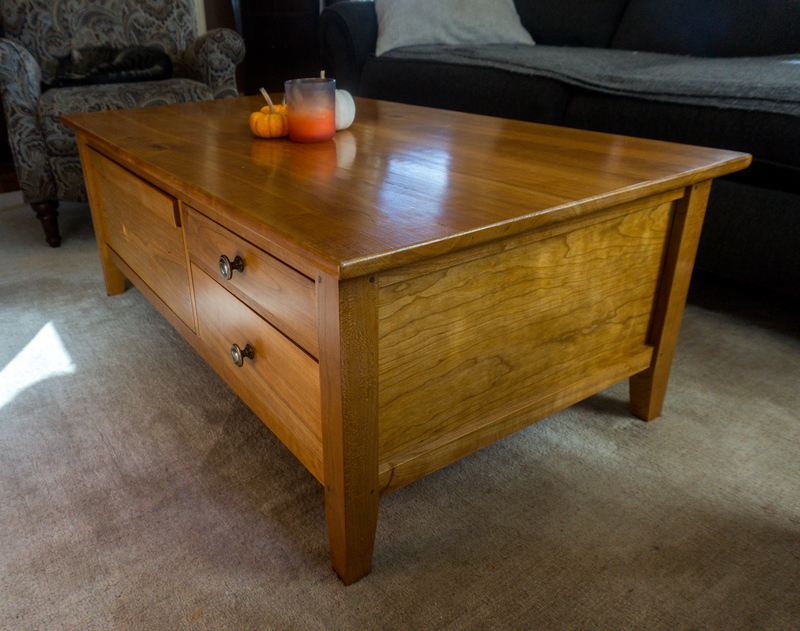 Cherry coffee table – completed.